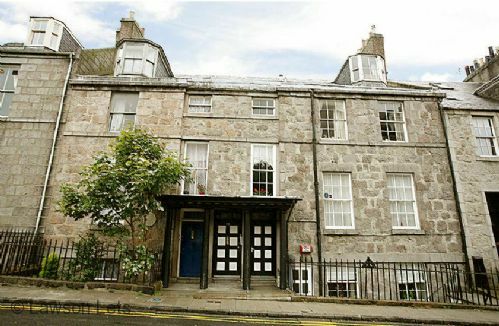 A one bedroomed apartment in a listed Georgian building located in a quiet residential street in Aberdeen city centre. This was the most recent time I have stayed at the subject location and I have nothing but praise for the accommodation. 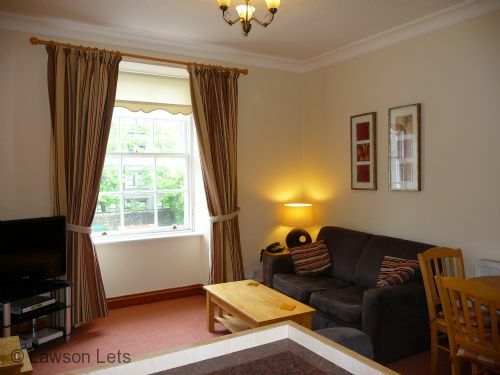 The location is very convenient for all purposes and the flat is comfortable and well-furnished. Maggie MacDougall is always willing to make suggestions regarding places to visit and is more than willing to try and accommodate special requests. great flat couldnt fault enything,. My 2nd stay at this lovely flat. Has everything needed for comfort and convenience. Well kept and immaculately clean. Good communication with Maggie all the time. Can’t recommend it highly enough! I had to return to Aberdeen to be with my mum who passed away a few days later. It was so comforting to have a home to come back to. Flat 4 is perfect for a single person or a couple. It is well equipped and better than any hotel. We took the parking which was very convenient just across the road. I have been using Lawson Let's for many years now and consider it my home from home anytime I am in Aberdeen. Very great apartment with shopping and restaurants close by,we really enjoyed our stay here and will definitely book again as it was value for money for your our private space in a beautiful city. 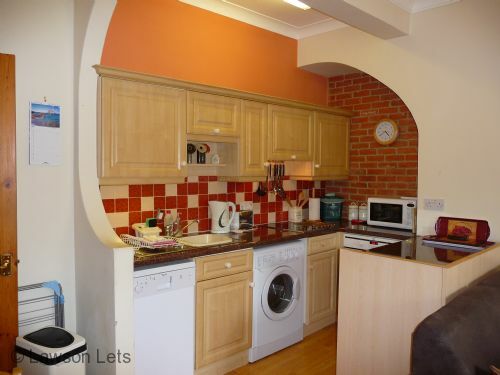 Excellent city centre flat - ideal location for travelling by public transport. we enjoyed our stay at flat 4, the position was very handy to town and all we wanted to see. The managers were extremely helpful to us, indeed they went beyond what we expected. We expect to return to Aberdeen and would prefer to stay at flat 4 if available. It was clean, comfortable and very homely. We have enjoyed our stay in Flat 4, all in the flat is top class, very handy to Aberdeen centre, plus,the agents have been very helpful I think we were lucky to find it. have stayed here before and everything perfect as usual comfy bed lovely welcome pack hope to return soon! Great accommodation, close to place of work with all facilities available. Unfortunately the flat bellow insisted on playing music 24 hours a day/ night. Not looking forward to another week of broken sleep. We stayed in Flat 4 for 10 days and enjoyed it very much. It is so much nicer to have your own space rather than staying at an hotel. The flat is very convenient to shopping and public transportation and although we did have a rental car, most of the time it was parked in the parking space. Aberdeen doesn't have a lot of public parking and we found a car is not really necessary because the convenient bus service will take you to almost anywhere you need to go. We would definitely recommend this flat to anyone, it is so clean and comfortable and felt like our home away from home. Altbauwohnung im gepflegten Zustand mit kleinen aber erträglichen Eigenarten wie klemmende und etwas luftigen Fenster, nah zur zentralen Einkaufsstraße, zob und Bahnhof. This was just a base for us for a weekend, location 5 mins from main shopping street and a further 5 from the large Shopping/eating/entertainment complex. 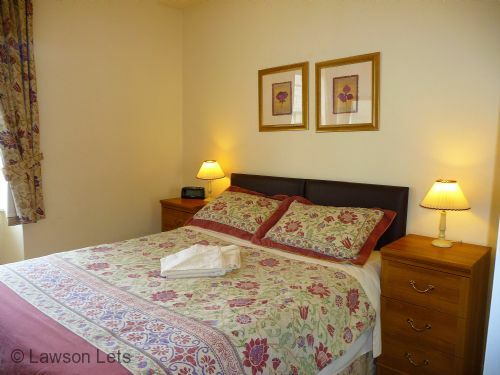 Very well equipped apartment, hot water a plenty, wi-fi reasonably good, beds comfortable, towels and bed linen all provided and perfectly clean. Spacious living area and compact but fully equipped kitchen area. 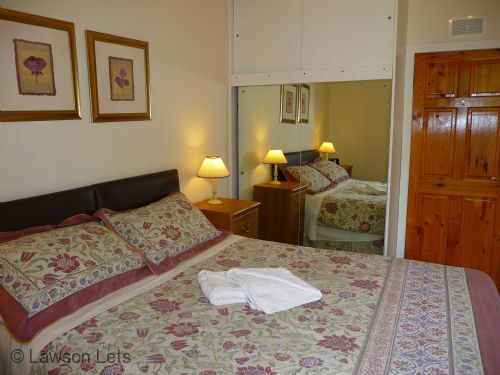 This is a lovely little flat with everything you would need for a short or longer stay. The location is great too - five minutes walk from the shops and access to buses anywhere in the city. Much better than a hotel as I had my own space and could prepare meals and have a Sunday lie in without worrying about cleaners trying to come in! I would definitely recommend this flat, and would stay there again. flat 4 is the perfect place for a stay in Aberdeen. Close to everything , comfortable and clean. I very much appreciated the welcome pack of coffee, tea, juice milk and even shortbread. I have stayed in the other 2 flats previously and they are all similar but I would say I felt right at home in Flat 4 . Having a washing machine and an iron was handy and the wifi worked great too. It will be my first choice returning to Aberdeen. High standard of flat let down by shower hence poor score on condition of flat. High standard of flat let down by temperature control on shower not working properly. Water not even tepid. However, I am sure this is only a blip. I have stayed in the flat before and have always been pleased. Location is excellent. I left a dressing gown on the back of the bedroom door. Please could you arrange to return it to me or phone me. We are sorry that this guest had a problem with the shower. It is a digital shower with instructions left in the shower room. It is probable that an earlier guest had set it to their requirements. Had the guest contacted us immediately we would have been able to deal with the problem during their stay. The guest emailed me a few days after their visit regarding the dressing gown and I'm pleased to report that it was found and is being despatched. The landlord Very helpful. And on time well organised. 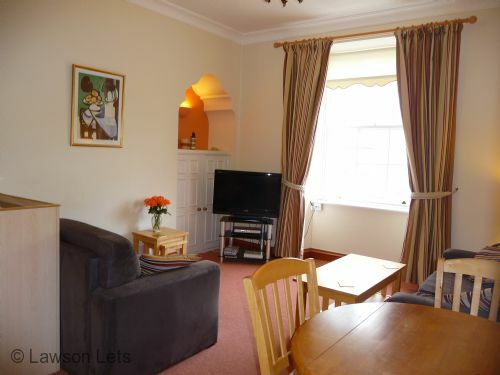 Location is good right in the city centre but on the quite side and convince to all shops. I'm highly recommend this property and will be come back again soon. The landlord Just keep the service the same. I don't think need to do anything. I'm highly recommend this property and will come back again. We stayed for 2 weeks around Easter 2015. 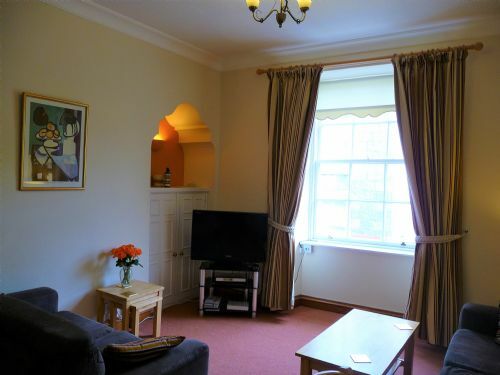 Perfect flat and location for a single or couple looking to explore Aberdeen. Very central for attractions, eating out and shopping, but still in a quiet location. If you are bring a car or renting make sure you get the parking spot that is available as street parking in the area is expensive. Would go back again and would recommend it to friends. Could not fault this accommodation in any way. Will be back. All our needs were well catered for. Magpie was very welcoming and flexible. Nice restaurant very close by. Location was great for eating, shopping and sight seeing. Close to public transport links. An ideal home from home! We have stayed here several times now and are never disappointed in any way. 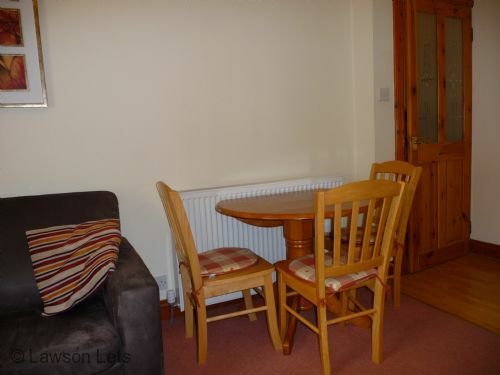 The owner is helpful and the location perfect for work in aberdeen city centre. Good location, clean comfortable the landlord is nice well organise, the price is reasonable if is it carry on same price I will be back again next year. The flat was a bit small and the block not too clean. However, it was very well situated, next to most events, shops and transport. I would recommend it to anyone who cares mostly about location and is not going to spend too long indoors. I've studied English for some weeks at Aberdeen and I was so lucky to have such a nice flat. Skene Terrace is a quit and lovely place, nearby the University, the Art Gallery, the theatre, the shoppingcenters and Union Street - the most important street of the city. To the station they are only 12 minutes by foot and 30 minutes to Aberdeen Airport by bus. To the seacoast I walked about half an hour. The Esplanade is amazing, but sometimes very misty! The flat was an ideal location for my two week stay in Aberdeen in June. There were plenty of pieces of crockery as well as pans to use which I made full use of as I have dietary needs so tend not to go out for meals.the leaflet for the equipment was comprehensive and useful. The layout of the flat was good and was accessible for my mum who accompanied me. She found the steps up to the flat the hardest part but managed. The location of the flat was ideal as near to a bus stop to visit my daughter, as well as centrally located for Union street and art gallery/theatre visits. We will be returning for a further visit in December this year over Christmas and new year. In addition to good, comfortable accommodation & excellent location, I really valued the opportunity to book the secure parking facility with the flat. Couldn't fault the flat. Really clean, comfortable, spacious and homely. Only problem was lack of availability! I would definitely return if I'm ever in Aberdeen again. I have scored this apartment as excellent on all counts If you want to stay somewhere central that has high standards you need look no further. I will be staying here again in the near future. We love the flat and if my daughter is successful at gaining a place at the university of Aberdeen, I shall definitely be using it again. The rooms are well-appointed, the kitchen has everything that one could wish for in a compact lay out, and the heating works well. The shower is excellent, the bed comfortable, and the location in the heart of the city is brilliant. Inclusive Wifi access is useful too. It is just right for two people, and we congratulate Maggie on a brilliant wee flat. The flat was well equipped & comfortable. The owner had gone the extra mile, providing things I didn't expect, such as milk, biscuits, tea, coffee etc. Location is excellent - close to shops, restaurants & entertainment. The only difficulty I had was opening the windows - I'm not very strong! I liked the accommodation enough to book again; recommendation enough. A really comfortable stay in a fantastic location. I have stayed here several times and would not hesitate to return. Fully recommended for all kinds of stays! We have stayed in this flat before. It continues to provide amazing value for a stay in Aberdeen. It is within easy walking distance (5 minutes) of Union Street, where all major shopping and many pubs and restaurants are located. It was very cold when we stayed there and there was no problem in keeping the felt warm, hot water is available all the time. We never saw or heard tenants in other flats. The flat is small but the space is well planned. the kitchen was more than adequate for all our cooking needs. The furniture is comfortable and seats 4 without difficulty. Likewise the dining table. 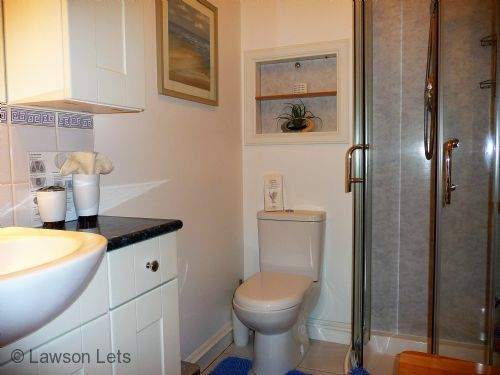 The bathroom is well appointed with plenty of storage for toiletries. In the bedroom closet space is generous and there are an abundance of drawers. There are almost no self-serve laundromats in Aberdeen and once you have mastered the single unit washing machine/dryer it works very well. There is a folding drying rack that we used overnight and since the flat is warm things dried very quickly. We have been lucky to get the parking on both our stays. It is quite a walk to the parking however and sometimes there is a problem with other people taking your spot. If you return after 8:00pm and leave by 8:00am there is a multi storey car park there is free during those hours which is very close. If you park earlier you can buy a parking ticket and it gives you any time paid for but not used, after 8:00pm in the morning after 8:00am so you don't lose any money. We would certainly hope to stay here again.